A client requested a custom design for his 3.60 carat heart shaped diamond. He wanted a piece for everyday use that had a classic look to it. 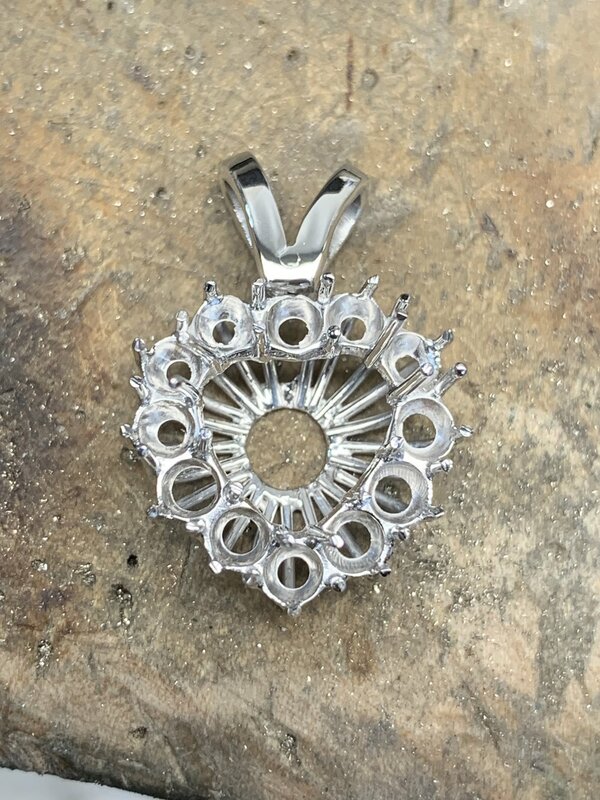 I designed this 18k white gold pendant for his stone, plus 2.70 carts of round diamonds. He was very pleased with the result. I hope you enjoy it as well.